July – July , 2019. Early Bird Saving now open for this tour: 13% off for booking 90 days in advance and 8% off for booking 60 days in advance. Katok Monastery is a remote and yet bustling monastery in rural Kham. It is one of the most important monasteries in the Nyingma sect of Tibetan Buddhism, acctually one of the six principal (“mother”) monasteries of the Nyingma school of Tibetan Buddhism, and is of astonishing beauty in its mountain top setting. It is off the beaten track without service by public transportation, but is only a two hour drive from the Pelyul county seat. Travelers who have hired jeeps and guides often come to Katok on day trips. Three or four hours at the monastery is enough for a picnic lunch and a visit to some of the scenic spots along the pilgrimage trail that circles the monastery. Kathok or Kathog Monastery, is one of the six principals’ monasteries of the Nyingma school of Tibetan Buddhism. It is located 4,000m above sea level at Pelyul County, Garze Prefecture, Sichuan, China. It is 966.5 km away from Chengdu-the capital of Sichuan Province. In the past 800 years, more than 100 thousand practitioners finished their trainings from this holy monastery. Nowadays, those gurus go around the world such as Asia, Europe, North America and so on to do missionary work. 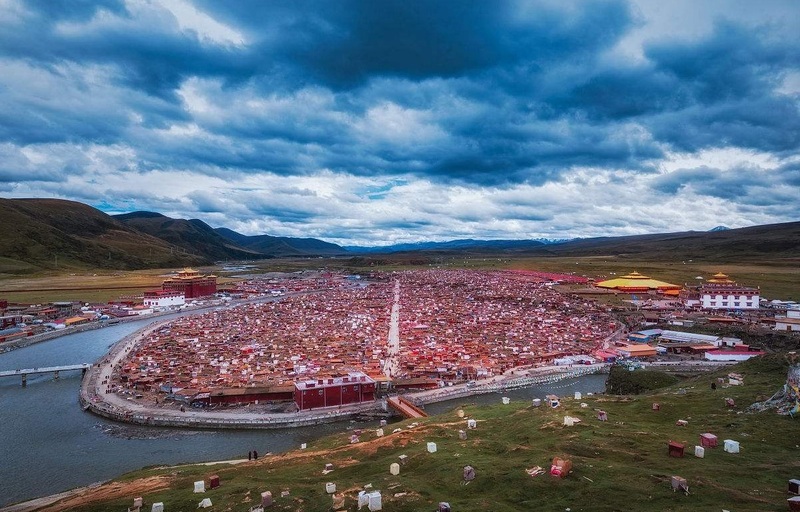 The full name of the monastery is named Kathok Dorje Den (Ga Tuo Duo Ji Dan), because the monastery is built on top of a naturally-arisen “Ga” means on a huge and smooth white stone in Tibetan. “Dorje Den” in Tibetan means “Vajra Seat”, Vajrasana is the holiest place for Buddhists all over the world, the very place where Lord Buddha manifested the Great Event. Great Guru Padmasambhava declared that the blessings of Kathok would reign supreme and is equivalent to that of the Vajra Seat in Bodhgaya on which Lord Buddha attained Enlightenment. Guru Padmasambawa in person at Kathok and gives holy blessing about 13 times, and that is so solemn that makes this monastery rank the same status with Indian vajrasana, called “the second vajrasana”. Kathok Monastery was founded by a master of Nyingma school in 1159, and it is 858-year-old having 84 abbots. Kathok Monastery held a reputation of fine scholarship. Prior to the annexation of Tibet in 1951, Kathok Monastery housed about 800 monks. The third abbot of Kathok is skilled in explaining Buddhist scripts, therefore he has been employed by Dalai Lama to become a teacher. 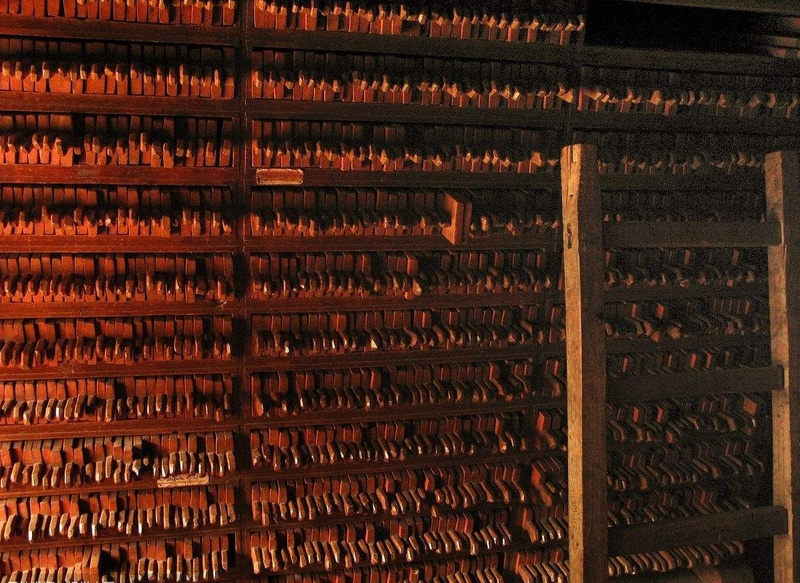 The third abbot proposes and build a Printing House which collected more than 60,000 Buddhist scripts and become the largest Printing House in Tibetan area at that time. 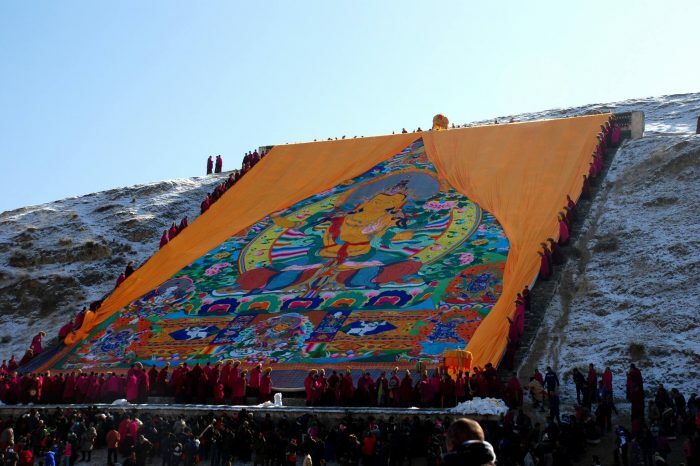 According to the principal made by Khedrup yeshe bubba rinpoche at Yuan Dynasty, keeping to the traditional custom of Nyingma Kathok, a grand and solemn prayer meeting will be held on the birthday of guru Padmasambawa on June 10th in Tibetan calendar. During this meeting, monks and believers from all over the world gathered together and prayed together. It is said that once in the biggest prayer meeting, there are 180,000 monks participating. They wear red gown and gather on the hill around the Kathok, which likes the red ocean, and are chanting together in splendid spectacle. That kind of grand event become the legend in India and Tibetan area at that period. The former Kathok Monestery was ruined in the war. It spent about 10 years, all the abbots and monks do their efforts to rebuild Kathok. New halls have been constructed, the biggest one of them covers an area of 60 square meters which can service more than 2000 monks chanting and learning. Built by Tibetan style, the new Kathok walls have been painted with all kinds of Buddist stories, and many Vajrayana status have been shown in the hall, which is so solemn and peaceful. In 2016, an expansion of the Kathok Monastery to the northeast was completed. This expansion included a new temple and assembly hall, directly adjacent to the existing monastery complex. You will be warm welcomed by your guide and transferred to comfortable hotel by a private car. The driver will pick up you at the lobby of hotel at around 7:30 am. we start the trip down Chengya highway. 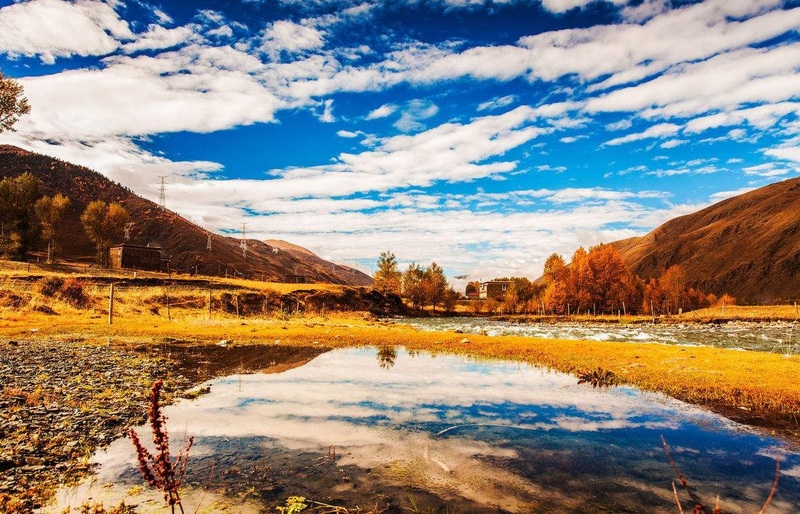 After you cross Zheduo Mountain, that means you step into the scope Ganzi Tibetan Autonomous Prefecture. You will arrive in Luding at around lunch time. After lunch, you will visit Luding bridge which is over the Dadu River and was a important place for Long March, soldiers of the Fourth Regiment of the Chinese Workers and Peasants’ Army secured the bridge as a river crossing vital to the Red Army. 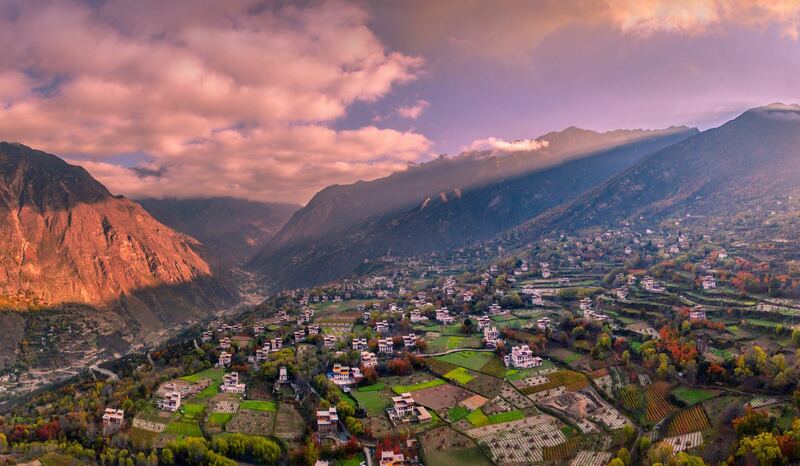 you will pass kangding, xinduqiao while enjoying the landscape changing from village to the grassland. We will arrive at about 18:00pm, you can watch the starry sky of grassland during the night. You will start the trip of today at around 8:00 am, so you will have enough relax and sleep time for your first time in plateau. In the morning, we will visit Tagong monestaty first, which is home to the iconic, if not somewhat gaudy, Muya Golden Pagoda and its 100 kg golden roof that lies in the center of the monastery’s four towers. Traveling south past the Tagong Monastery, you’ll quickly find a one way cement road on the right. Turning down this road will lead to the Ani Gompa nunnery, as well as a street of prayer tablet cobblers and a large stupa surrounded by prayer wheels. In this area we witnessed a huge collection of awesomely adorned elderly Tibetans circling the large stupa. With layers of robes, dresses, necklaces, and bracelets, everyone was uniquely dressed from head to toe. You can find Mani Dui everywhere in Tibetan area, Mani Dui combines with a pile of stones representing the belief of Tibetan people. 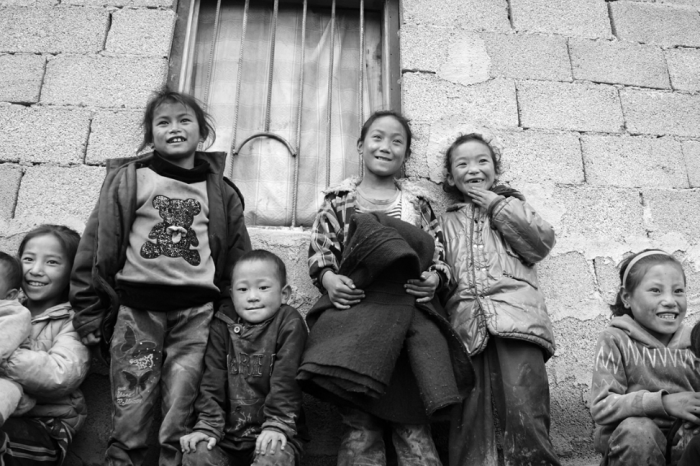 In Tagong, you will visit the bigest Mani Dui. Encountering stupa, monestary and Mani Dui in Tibetan area should rotate clockwise to bring you good luck. We will take you to the practice mountain, you can see the panoramic view of num island. Giving a bird view of the whole Buddhist Area, tourists will see red houses, rolling smoke from chimneys and monks to and fro. Have a visit of Yaqing Buddhist Institute. You communicate with believers and monks, follow them to pray, pilgrimage, and experience their practice mode. During the spinning of the prayer wheel, tourists can feel the strong faith and tranquility of their mind. Due to the inconvenient traffic on the mountain, we will take local minibus to Katok Monastery. You have free time in the afternoon to get fimilar with this place, and take some photos of monestary. Monks will have classes everyday, you can hear them reading scripture and the sound making by prayer wheels. In the past 800 years, more than 100 thousand practitioners finished their training from this holy monastery. Nowadays, those gurus go around the world such as Asia, Europe, North America and so on to do missionary work. It is said that once in the biggest prayer meeting, there are 180,000 monks participating. They wear red gown and gather on the hill around the Kathok, which likes the red ocean, and are chanting together in splendid spectacle. That kind of grand event become the legend in India and Tibetan area at that period. We will continue the meeting in the morning, today you have chance to watch the Thangka Unfolding and Abhiseka. Then drive to Dege in the at noon. You will have an adventure and cultural tour today. Dege Parkang is an ancient scripture printing house, involves a hair-raising drive over the 5,000-meter-altitude Trola Pass, but it is worth the trouble if you are interested in Tibetan history, religion, literature and art. Drive back to the hotel in Ganzi County. 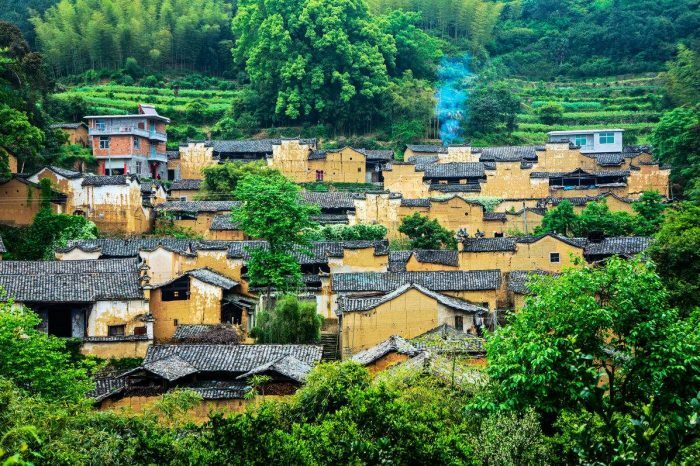 In the morning, we will drive from Daofu to the most beautiful Tibetan village in Danba—Jiaju Tibetan Village, to appreciate the architecture wonders of Tibetan Jiarong. Our guide will take you to find those very special photography spots. You will be transferred to Suo slope after breakfast, will appreciate the ancient wathtower across Dadu River and see the panorama view from No.1 Observatory and No.2 Observatory with different angle. We will get into one Diaolou to know the structure of this ancient building. And then, we will dirve back to Chengdu to your hotel. Free time in Chengdu, and explore this city by yourself.